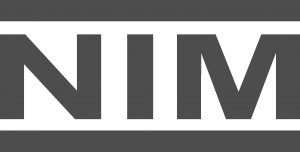 We are NIM Labs LLC, headquartered and reachable at 2332 S. Centinela Avenue, Studio B, Los Angeles, CA 90064, Attn: Legal Affairs, support@nim-labs.com. When You Use or Register for Services. When you use or register for the Services (some of the Services may require that you register and others do not), we collect the information that you provide to us about yourself, such as your name, address, email address, credit card number, debit card number, and telephone number. We also collect any optional information you elect to tell us about yourself, such as your occupation, interests, computer uses and preferences. We use this information for billing and internal tracking purposes, to respond to your requests for Services, to communicate with you, to determine what goods and services may be of interest to you, and to make your use of our Services more rewarding. Your IP Address. We may note and store your IP address when you visit our Site. An IP address is a number that is automatically assigned to your computer when you use the Internet. IP addresses are not linked to personally identifiable information. We use IP addresses to analyze trends, administer our Site, track user movements, and gather demographic information for marketing purposes. Cookies. We may place “cookies” on your computer to track your use of our Site. A cookie is a piece of data that is stored on your hard drive and takes up very little room on your system. It helps us customize our Site for you and make its navigation easier, and estimate the number of persons that use our Site and determine which areas of our Site are the most popular. Unless you are registered with us, the cookie does not provide us with any personally identifying information about you, such as your name or address. Third party advertisers and Service Providers (as defined below) may also place cookies on your computer; we do not have any control over these cookies or responsibility for information collected through them. Web Logs. We may also utilize web logs to track aggregate information about how the Site is being used. Web logs track anonymous user information, including the number of visitors to our site, operating systems, IP addresses, and browser type. Unlike cookies, web logs are maintained only on our servers and do not store or place anything on the your computer. Web Beacons. Web pages on our Site, including third-party Advertisements/Offers (as defined below), may contain non-visible electronic images (called “web beacons,” “single-pixel GIFs” or “1x1 GIFs”) that allow the Site to access cookies or to count users who have visited particular pages on the Site. HTML-formatted email messages (messages that include graphics) may also contain web beacons, which allow us to determine which email messages were opened and whether a message was acted upon, as well as access cookies and count users. Accessing the Site From Online Banner Ads. If you come to the Site from an online banner ad on another site, an anonymous identification number may be passed to the Site. This information cannot be used to gather any personally identifiable information about you. It will only allow us to track the overall effectiveness of our online advertising campaigns. Purchases. When you purchase products or services from our Site, you may be entering information into a website controlled and operated by a Service Provider on our behalf. You will be interacting directly with the Service Provider. The Service Provider may collect and use information about you in a way that is different from this Policy. We encourage you to read the Service Provider’s privacy statement. The Service Provider may provide us with information about you, in which case our use of such information will be subject to this Policy. Surveys and Promotions. We may seek information from you from time to time in connection with surveys, contests, promotions or special offers. Your participation in these activities is completely voluntary. The information requested may include contact information (such as name and address), demographic information, preferences and interests. We may use this information to fulfill your requests for Services, to contact you, and to identify promotions by third parties that you may find of interest. Passwords. You may provide us with identifying information, such as a password, in order to access certain Services. Do not divulge your password to anyone. We will never ask you for your password in an unsolicited phone call or in an unsolicited email. To increase your privacy, be sure to sign off your user account and close your browser when you have completed your use of the Site and Services, particularly if you share a computer with someone else or use a computer in a public place. Advertisements/Offers. Third parties may provide us with advertisements, services, promotions, and other offers (“Advertisements/Offers”) for persons who visit our Site or use our Services. We may analyze the information we have about you (e.g., from your registration or from cookies), and use that information to display, email or mail the Advertisements/Offers we believe may be of interest to you. Except as indicated below, we do not share your personally identifying information with such third party advertisers. We collect the above personal information in order to provide the Site and Services to you. Your Profile. As you know, certain information in your profile is intended to be public. When you enter information in your profile, we will indicate what will or will not be made public. This information is viewable by the public and by other users. User Generated Content (UGC). If you upload content to the Site, you may be revealing otherwise private information about yourself or other people. Any content that you submit to us may be redistributed through the internet and other media channels, and may be viewed by other users or the public. With Your Permission. We may forward personally identifying information about you to others at your request (e.g., to respond to Advertising/Offers, to process a transaction by you, or to verify your identity to the third party). These disclosures are at your own risk. Indirectly. We may permit third parties to mail or email Advertisements/Offers to you in a fashion that prevents them from learning personally identifying information about you. (You will have the opportunity to opt out of receiving such Advertisements/Offers when you provide personally identifying information to us and when such Advertisements/Offers are sent to you.) For instance, we may require that the third party provide the Advertisement/Offer to us or to a Service Provider, then we or the Service Provider would perform the actual mailing or email. We will not provide personally identifying information about you to such a Service Provider until it has agreed to keep such information confidential and to use it only for the specific purpose that was authorized. If you respond to an Advertisement/Offer from a third party, that party may collect and use information about you in a way that is different from this Policy; we encourage you to read the privacy statement of any such third party. Public Forums. Certain portions of the Site (e.g., chat rooms, forums and message boards) may be available to the public or other Site users. If you provide information at such locations, your disclosures will not be private. These disclosures are at your own risk. Anonymous Data. We may disclose aggregate user statistics and demographic information to third parties in order to describe our Services to current and prospective shareholders, investors, advertisers, and other third parties, and for other permissible purposes. That data will not contain any personally identifying information about you. Surveys/Promotions. If you participate in surveys, promotions or contests conducted at our Site, we may share information with others in the manner described in the surveys, promotions or contests or as described in the previous paragraph (Anonymous Data) or as required by law. Unless otherwise indicated, those activities will be subject to this Policy. Our Business Partners. We enter into relationships with a variety of businesses and work closely with them. In certain situations, these businesses sell items or provide special offers or promotions to you through the Service. In other situations, we provide services or sell products jointly with these businesses. You can easily recognize when one of these businesses is associated with your transaction. We will share your Personal Information that is related to such transactions with that business, unless you have elected not to be solicited by marketing partners during the registration process or through the account settings page. Service Providers. To the extent necessary to make the Site and Services available to you, we may provide information to vendors (“Service Providers”) who provide operational services related to the Site and Services, such as hosting, telecommunications, billing, email messaging, and support forums. Law Enforcement and Legal Action. We may provide information to law enforcement agencies, courts and other appropriate third parties as required or permitted by law or if we believe that a crime has been or may be committed involving you, your account, the Site or the Services or if we believe that disclosing information will help identify, contact, deter or bring legal action against someone who may be violating the Terms of Service or injuring or interfering with anyone’s rights, property, or personal safety. Technical Problems. We may disclose information if we believe doing so is necessary to detect, prevent, repair or otherwise address any technical problems such as software bugs. You can ask us what information we hold about you, and you can ask us to correct it if it is inaccurate. You can also ask for it to be erased and you can ask for us to give you a copy of the information. You can also ask us to stop using your information by withdrawing your consent. You can do these things at any time by emailing, writing or telephoning us using the contact details above. In addition, if you have signed up for any newsletters or marketing emails from us, you can click the Unsubscribe link at the end of any email. If you are a resident of the EU and have a complaint about our use of your information, you can contact the Information Commissioner’s Office via its website at https://ico.org.uk/concerns/ or write to the commission at: Information Commissioner’s Office, Wycliffe House, Water Lane, Wilmslow, Cheshire, SK9 5AF, United Kingdom. Storage and Processing. We store and process personal information in one or more databases, which may be located in your home country, the United States and/or other countries. Security Measures. Security is an important feature of our Site. We maintain physical, electronic, and procedural safeguards to guard your nonpublic personal information. However, no data storage, transmission or safeguards can be guaranteed to be secure. Thus, we do not warrant the privacy or security of any information you provide to us (or to any Service Provider), and you do so at your own risk. Our Employees. Our employees, contractors and Service Providers are given access to personally identifiable information only to the extent they have a need to know such information. How You Can View and Change Your Account Information. You can review your account information and make changes or corrections by logging into the NIM Client Portal or the NIM Support Site. You can delete your NIM Client Portal account by contacting support at support@nim-labs.com. Links. This Site contains links to other sites. We encourage you to read the privacy statement of every website that you visit. When you click on a banner ad of a third party linked to our Site, for example, you will leave our Site and will be interacting directly with the third party. That party may collect and use information about you in a way that is different from this Policy. Although the third party will not receive personally identifiable information about you from us without your consent, it may know that you meet the criteria it sets for the distribution of its Advertisements/Offers on our Site. Also, whenever you click on a link (on our Site or any other website), the website to which you are directed may be able to determine the website from which you came. Privacy Infringement by Content on the Site. If you feel that your privacy is infringed by any content on the Site, whether it is content that we created, or User Generated Content (UGC), or third-party content (such as news stories, video clips and the like), please email us at support@nim-labs.com and provide the following information: the location (URL or other description) of the infringing material on our Site; your address, telephone number, and email address; where in the content you appear (for instance, specify how many minutes and seconds into the video you appear and describe the scene); a statement by you, made under penalty of perjury of the laws of the State of California and of the United States, that the above information in your notice to us is accurate and that you are (or are authorized to act on behalf of) the person whose privacy is infringed. We reserve the right to require that you confirm this information in writing (by mail or fax, for instance), with a physical signature. Toolbars and Other Access to Site. We may make the Site or Services or some of their features accessible via toolbars or other means. Your use of the Site in such ways is subject to this Policy. Minors. Children under age 13 are not allowed to register for this Site. Also, we recommend that minors 13 years of age or older ask their parents for permission before sending any information about themselves to anyone over the Internet.